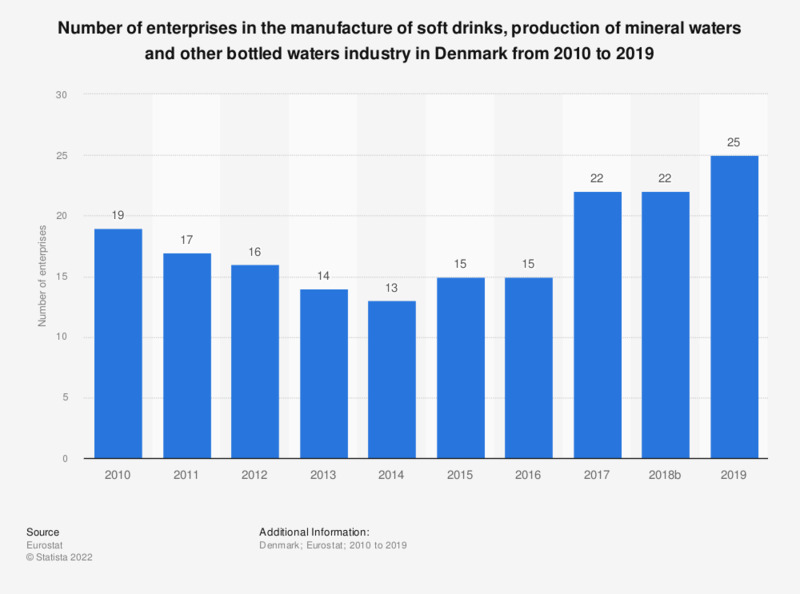 This statistic shows the number of enterprises in the manufacture of soft drinks, production of mineral waters and other bottled waters industry in Denmark from 2008 to 2016. In 2015, there were 15 enterprises in this manufacturing sector in Denmark. Everything On "Non-alcoholic beverages industry in Denmark" in One Document: Edited and Divided into Handy Chapters. Including Detailed References. Statistics on "Non-alcoholic beverages industry in Denmark"